This Fr. 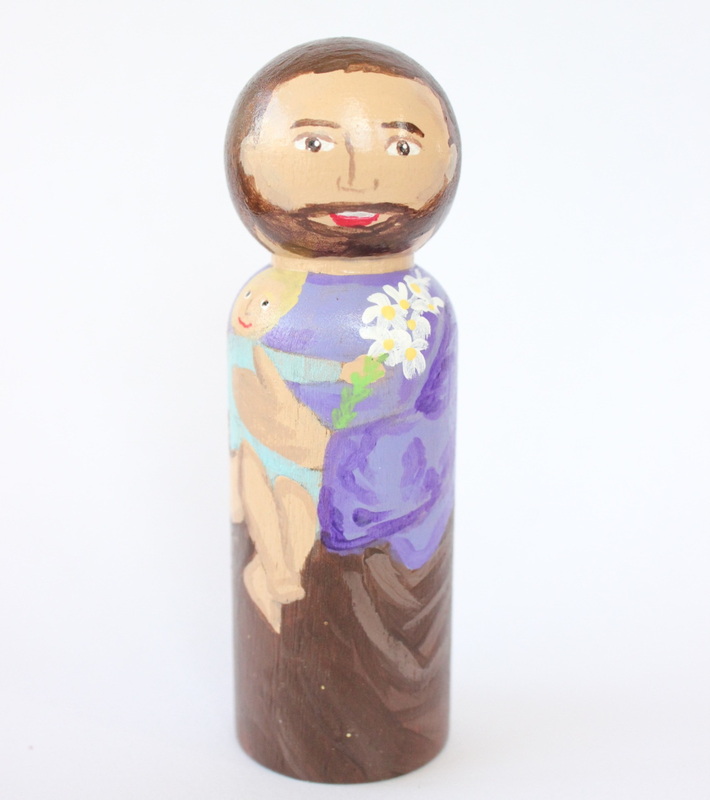 Vincent Capodanno is a one of a kind 3 1/2" tall wooden peg doll hand painted with acrylic paints and sealed to preserve this keepsake toy. 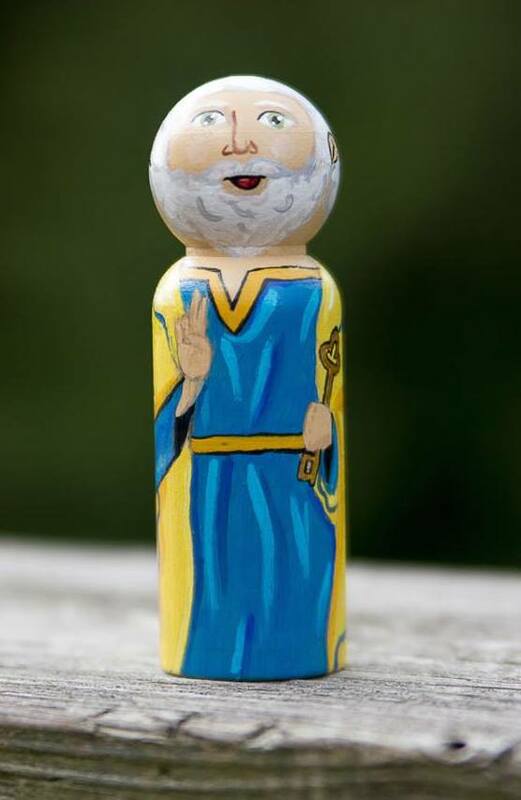 This St. Peter is a one of a kind 3 1/2" tall wooden peg doll hand painted with acrylic paints and sealed to preserve this keepsake toy. His feast day is june 29th. This St. Augustine is a one of a kind 3 1/2" tall wooden peg doll hand painted with acrylic paints and sealed to preserve this keepsake toy. 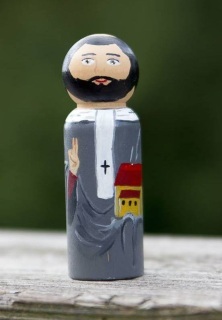 His feast day is august 28th. 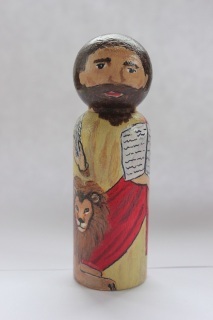 This St. Joseph doll is a one of a kind 3 1/2" tall wooden peg dolls hand painted with acrylic paints and sealed to preserve this keepsake toy. 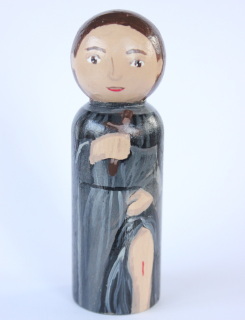 His Feast Day is celebrated on March 19th. 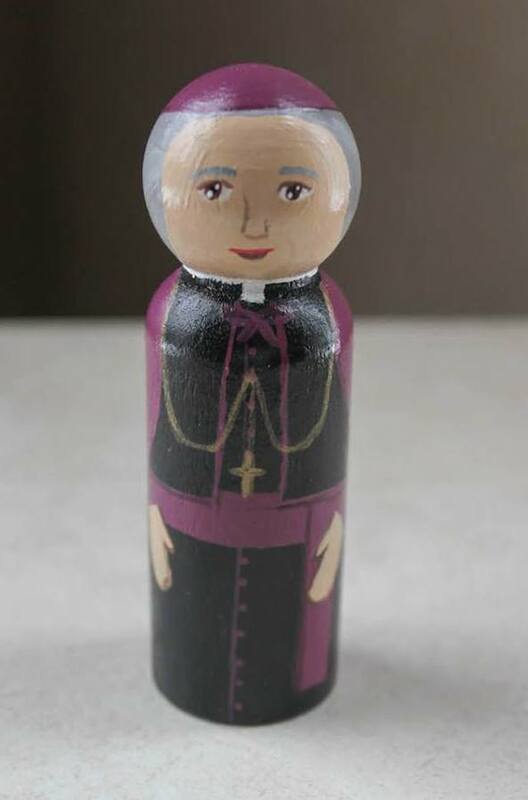 This Venerable Archbishop Fulton Sheen doll is a one of a kind 3 1/2" tall wooden peg dolls hand painted with acrylic paints and sealed to preserve this keepsake toy. This St. 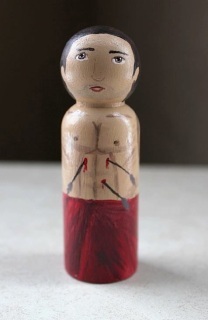 Peregrine doll is a one of a kind 3 1/2" tall wooden peg dolls hand painted with acrylic paints and sealed to preserve this keepsake toy. St. 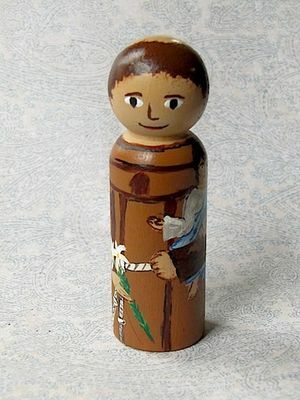 Peregrine's Feast Day is celebrated on May 1st. This St. Sebastian doll is a one of a kind 3 1/2" tall wooden peg dolls hand painted with acrylic paints and sealed to preserve this keepsake toy. 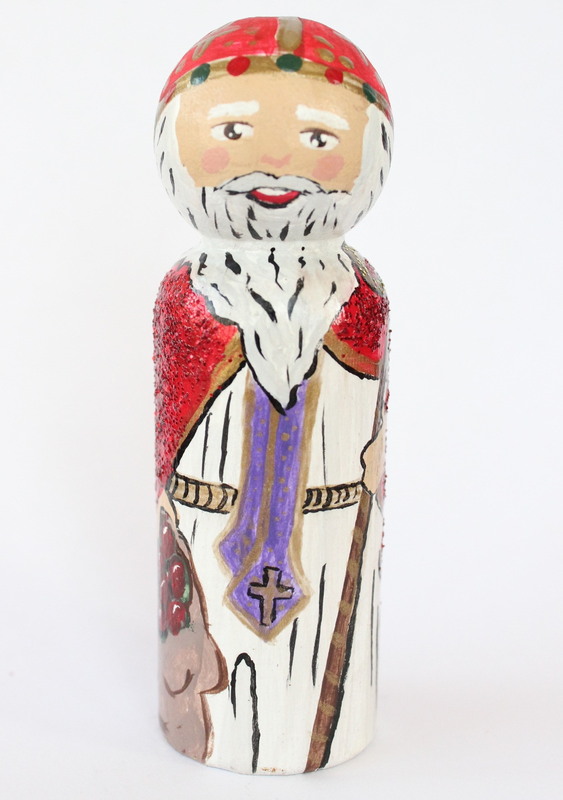 His feast day is December 18th. 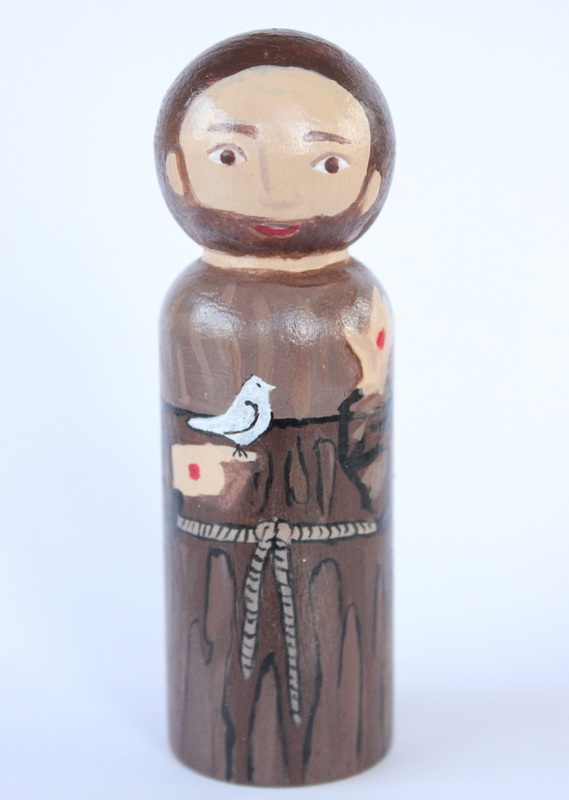 This St. Francis of Assisi doll is a one of a kind 3 1/2" tall wooden peg dolls hand painted with acrylic paints and sealed to preserve this keepsake toy. 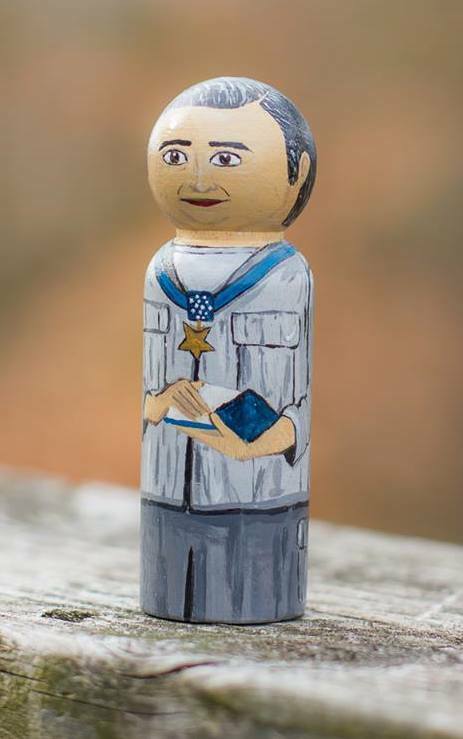 His feast day is October 4th. 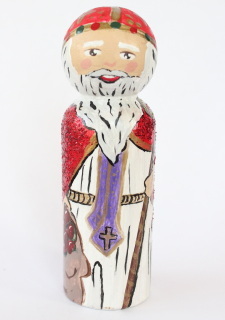 This St. Nicholas doll is a one of a kind 3 1/2" tall wooden peg dolls hand painted with acrylic paints and sealed to preserve this keepsake toy. His feast day is December 6th. 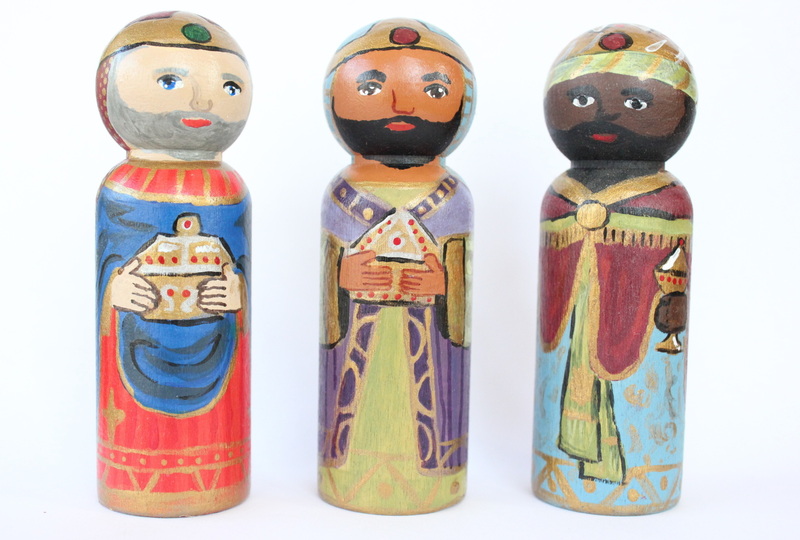 This set of the Three Wise Men are one of a kind 3 1/2" tall wooden peg dolls hand painted with acrylic paints and sealed to preserve this keepsake toy. Their feast day is January 6th. 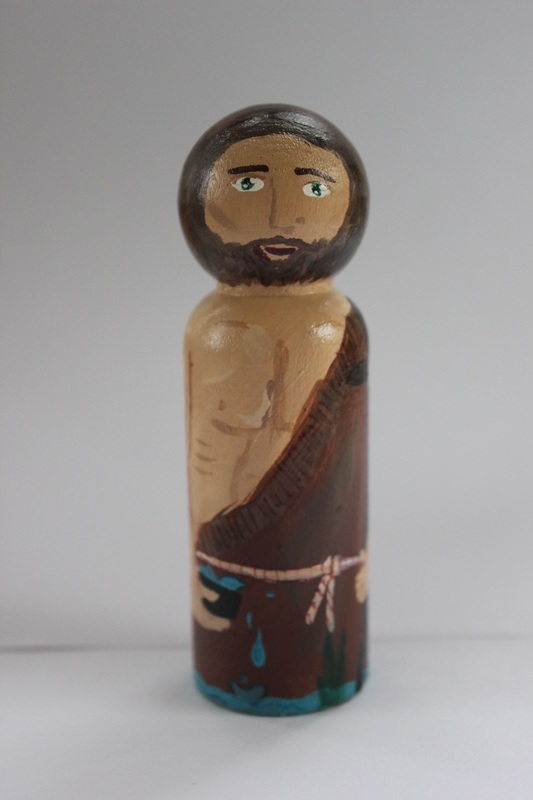 This St. John the baptist is a one of a kind 3 1/2" tall wooden peg doll hand painted with acrylic paints and sealed to preserve this keepsake toy. His feast day April 25. This St. John the baptist is a one of a kind 3 1/2" tall wooden peg doll hand painted with acrylic paints and sealed to preserve this keepsake toy. His feast day is June 24. This St. Anthony of Padua is a one of a kind 3 1/2" tall wooden peg doll hand painted with acrylic paints and sealed to preserve this keepsake toy. His feast day is June 13th. 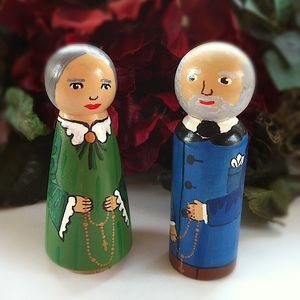 This set of Blessed Zelie and Louis Martina are one of a kind 3 1/2" tall wooden peg dolls hand painted with acrylic paints and sealed to preserve this keepsake toy. Their feast day is July 12th.